Award-winning author Luis Sepúlveda was born in northern Chile, lived in Germany for 10 years, and now lives in Gijón, Spain. 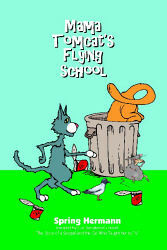 His first children’s novel, "The Story of a Seagull and the Cat Who Taught Her to Fly," has sold more than 1.5 million copies worldwide. Mr. Sepúlveda’s short stories, novels, plays, and essays have been published in more than 30 countries.